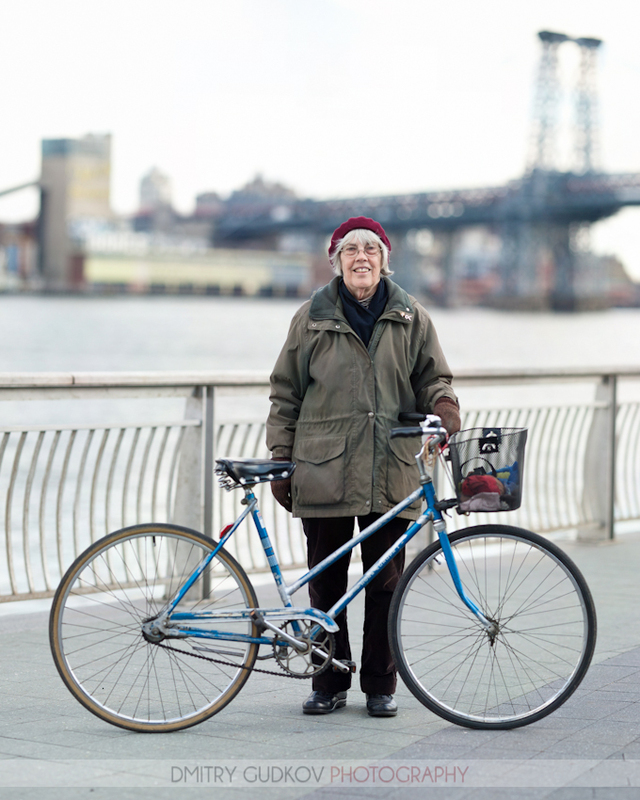 I had the good fortune to meet and have my picture taken by Dmitry Gudkov for his #bikenyc photo series back in November and have continued to enjoy every shot he’s taken for the project since then. Recently he’s trained his lens on cyclists who don’t always factor into the media discussion on bike lanes, which is too often centered on Park Slope yuppies with baby seats (guilty), elite riders on $4,000 carbon fiber road bikes, and Williamsburg hipsters on vintage fixies. 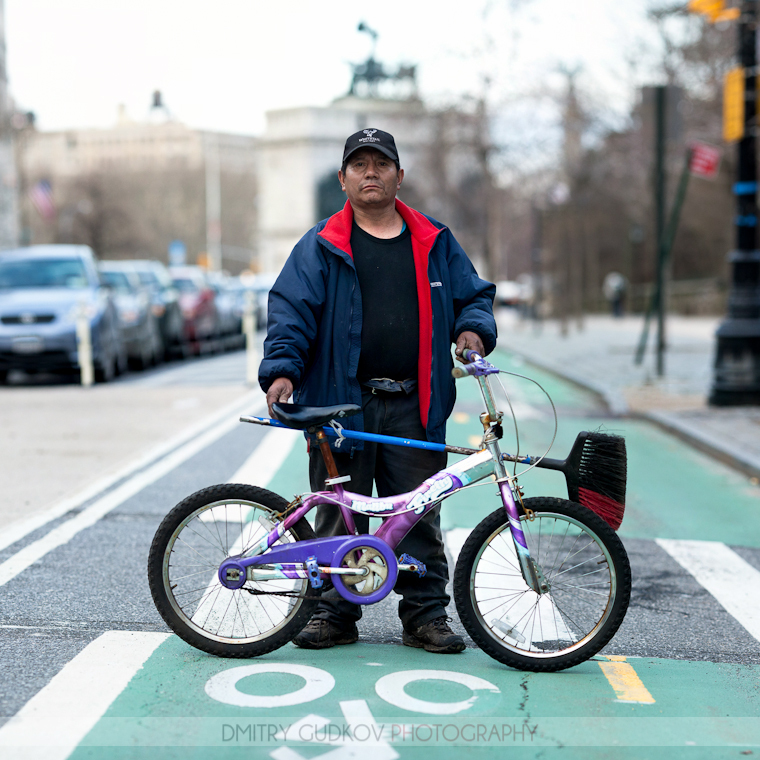 Dmitry’s pictures are beautiful in their own right, but they also make a compelling case that there’s no bike culture — there are only people who use bikes to get around. There is no bike culture. That’s just invented by marketers to sell stuff to people. Thanks so much for your post, Doug! I hope to feature many more of these “invisible riders” in the near future. Come on down to South Brooklyn. Most of the people I see on bicycles are over 40 and apparently running errands with shopping bags, except for maybe fairweather weekend voyageurs from the other neighborhoods. Definitely planning to. Good thing I speak Russian :).